Stressed due to rush hour traffic? Enlightenment on a spring! 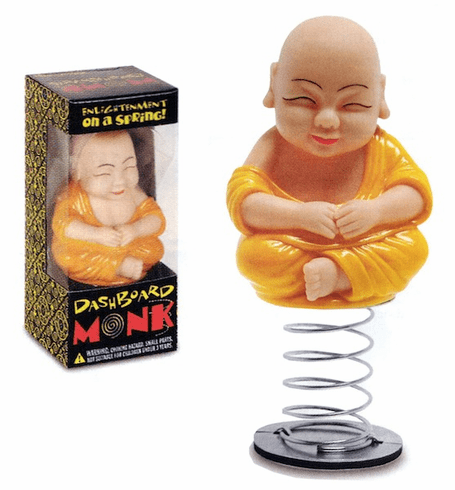 DASHBOARD MONK is 4 1/2" tall and made of hard vinyl and metal. Adhesive base.